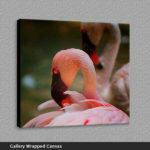 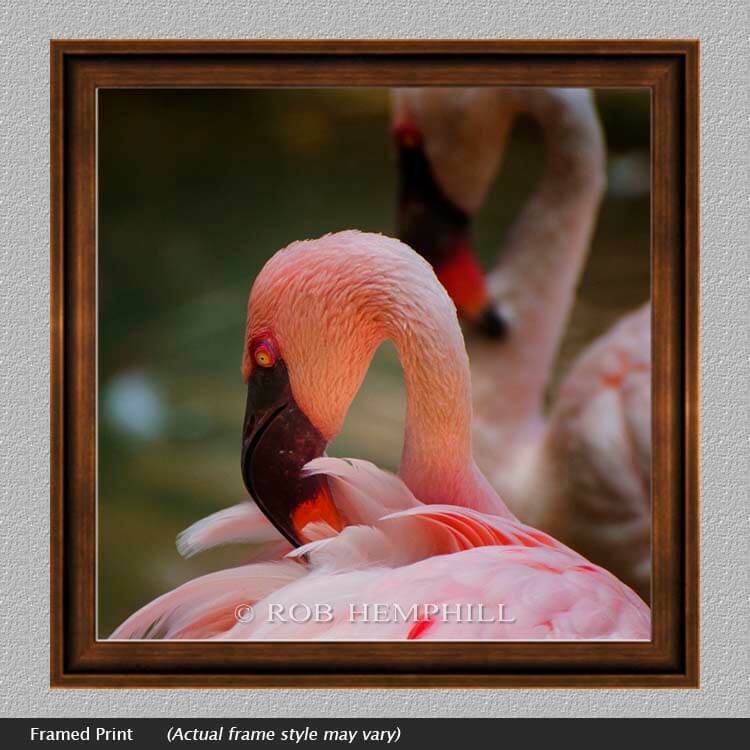 Flamingo comes from the Spanish word flamengo meaning, “flame-coloured”. 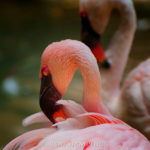 These two birds were busying themselves in some late afternoon preening of feathers. Flamingos normally stand on one leg while the other on is tucked underneath their body. This may allow the birds to conserve more body heat, as they are known to spend much of their time wading in cold water.